Graft and corruption charges were filed against former Philippine President Gloria Macapagal Arroyo on December 28. The charges stem from a scandal that erupted in 2007 over the alleged rigging of bids for the construction of a national broadband network (NBN) on behalf of a Chinese corporation, Zhongxing Telecommunication Equipment (ZTE). This is the second set of charges filed by President Aquino's administration against Arroyo and clearly reveals what lies behind Aquino's political battle against the former president: the geopolitical struggle between China and the United States in the region. Arroyo is currently under arrest in the Philippine Veterans Memorial Medical Center on charges that she committed electoral fraud during the 2007 senatorial elections on behalf of candidates from her Lakas-Kampi-CMD party. Electoral fraud is a charge that precludes the possibility of posting bail, and was thus the first case filed by the Aquino administration in a rush to prevent Arroyo from leaving the country. The electoral fraud case that the government has filed against Arroyo is threadbare, built on the testimony of a single witness. Norie Unas, a former provincial administrator from the southern province of Maguindanao, has sworn that he overheard Arroyo issue orders to engage in cheating in the 2007 election. No evidence beyond this claim has been presented. In 2009, the political clan of the Ampatuan family massacred 59 people, 34 of them journalists, in one of the bloodiest acts of electoral violence in the Philippines in years. Unas, the Aquino administration's sole witness, has been repeatedly accused by witnesses in the Ampatuan trial of not only being party to planning the massacre but of having ordered the backhoe that was being used to bury the bodies in a mass grave. It is widely speculated that Unas cut a deal with the Aquino administration to testify against Arroyo in return for immunity in the Ampatuan case. There is a wealth of evidence that Arroyo cheated in the 2004 presidential election. Presenting a case against her for this, however, would expose the entire corrupt political system in the Philippines, implicating both her and her rivals. Aquino, a congressman in 2005 when the election fraud scandal broke, defended Arroyo, then an ally, against charges that she rigged the election. The political blitzkrieg now being carried out against Arroyo is at its base not about corruption or poll fraud. It is about the shift that occurred during her administration, reorienting the Philippines' economic and political ties away from the United States and toward China. In 2007, the Arroyo administration proposed to construct a national broadband network connecting all Philippine government offices and was soliciting bids from private contractors for the construction. 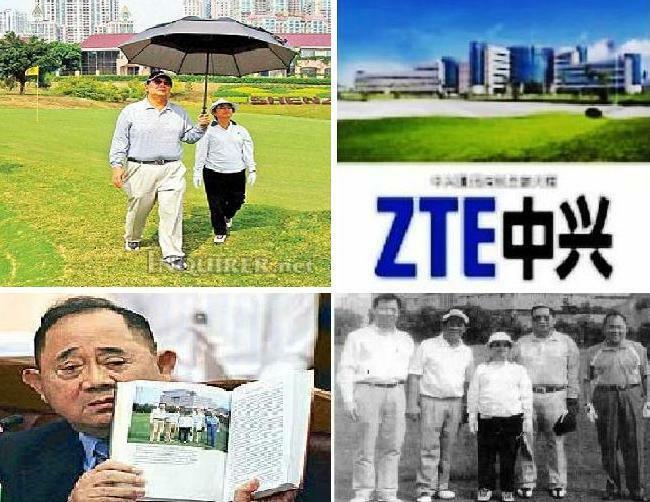 Three corporations bid: ZTE, a Chinese state corporation; Amsterdam Holdings, a local start up backed by Chinese firm Huawei Tech; and the US telecommunications company Arescom. Arescom significantly underbid both rival offers. The US ambassador sent a letter to Arroyo urging fair and transparent consideration of all proposals. Arroyo favored the more expensive ZTE bid over its rivals. The head of Amsterdam Holdings, son of the long-time speaker of the House of Representatives, cried foul. Accusations emerged of bribery and secret deals cut during golf games. The bid from Arescom was entirely left out of the Philippine press. Lurking behind the sordid mess of who said what and to whom is a simple fact: Arroyo gave a massive infrastructural contract to a Chinese state corporation over a rival bid from a US firm. This NBN-ZTE deal, as it became known, was part of a trend. In the same year, the lucrative contract for the operation of the Philippine power transmission grid, TransCo, was given to the China State Grid over a rival bid from San Miguel Corporation. Thirty five percent of the San Miguel Corporation bid of $US3.905 billion came from the US-based Texas Pacific Group—now TPG Capital—one of the world's largest private equity firms, specializing in leveraged buyouts. Leading the TPG bid was Ernest Bower, who, according to WikiLeaks cable 07Manila3966, met with US Ambassador to the Philippines Kristie Kenney to discuss the widespread rumors of corruption on the part of the Arroyo administration in the TransCo bidding. The cable concluded, "It is unlikely that we will ever know whether collusion took place in this bidding, or whether there were other irregularities. There is a consensus among Filipinos that Congress will get its share when the franchise comes before it." Bower is now head of the Southeast Asia section of the Center for Strategic and International Studies (CSIS), an important think tank behind the Obama administration's "pivot" to Asia and aggressive imperialist maneuvers against China. Other substantial contracts were bid out to Chinese corporations, including the construction of a 90-kilometer railway, Northrail, in late 2004, at the time one of the largest Chinese-funded projects in Southeast Asia. Aquino has been consolidating political power against his rival Arroyo for the past year. At every turn he has had the support of Washington. US diplomatic attaches supplied his administration with evidence of corruption on the part of high-ranking military officials beholden to Arroyo. The day Aquino announced that he would be prosecuting Arroyo for corruption; US Pacific Commander Admiral Robert Willard visited him and promised to ensure additional US military supplies in the mounting tensions with China over the South China Sea. The day Aquino prevented Arroyo from leaving the country, though she had not yet been charged with any crime—a clear violation of the Philippine constitution—Hillary Clinton visited Manila. She praised Aquino, offered additional US economic aid and promised that US would supply the Philippines with a second warship. Each new step in the prosecution of Arroyo has been spearheaded by the various groups of the Philippine 'left.' Bayan Muna, the largest party-list organization with ties to the Maoist Communist Party of the Philippines, filed the NBN-ZTE case charges against Arroyo. Bayan Muna representative Neri Colmenares indicated clearly the direction that further prosecution of Arroyo would take in a message sent to the press on December 29. He called on the Aquino administration to turn a microscope on any deal that "China is involved in, including the Northrail project, for possible anomalies." The Aquino administration's prosecution of Arroyo serves the interests of Washington in its increasingly tense confrontation with China. The filing of the NBN-ZTE case is simply the most transparent evidence yet of this.